These opposite signs approach security from two different angles. Taurus wants physical proof, while Scorpio needs emotional proof. Together they can create an unbreakable relationship that will survive almost anything. Sun in Taurus is interested in reality. If he can touch it, taste it and it feels right, he’s on board. Some might accuse him of being simplistic, but the Bull knows how to build a solid relationship based on values and security. And his partner can look forward to a lover who has mastered the art of sensuality. Sun in Taurus wants peace and earthy love; give him these things and he’ll be endlessly patient. But his partner will discover that he’s no pushover. His deeply rooted stability also translates to unshakable stubbornness. Moon in Scorpio needs to go deep. This is about more than creating an intense bond with her lover (although that’s part of it). At her core, this Moon feels that her survival depends on knowing everything she possibly can about her partner. That way, there’s no surprises. Emotional nakedness is what she demands, but not all at once. Moon in Scorpio is one of the more cautious signs; she won’t devote herself to someone until she’s absolutely certain they can be trusted. Even then, the Scorpion’s partner must be prepared for her periods of withdrawal or anger. When she’s feeling unsatisfied or unsafe, she can lash out and go straight for her partner’s jugular. These two will cautiously circle each other, initially. Neither are interested in jumping into a relationship quickly. Once they do get together, they’ll activate each other’s drive for total intimacy. Sun in Taurus will provide Scorpio with a solid foundation. Once Moon in Scorpio sees that Taurus has no ulterior motives, she’ll give him her formidable support. And she’ll respect his strength. He’ll calmly wait out her moody withdrawals, while being impervious to her occasional outbursts. They’ll have a powerful, passionate bond based on trust and survival. I love a guy with sun in taurus and moon in scorpio and. Me 2 is a taurus girl..wid moon in pisces .he once told he loves me..some time he donot at all…nd nvr love me..i nvr said i lov him bt he knows ..he had a rltn 2 yr b4 and she cheated on him..he once told me he cant take risk bcoz of his fmly prbz ..what should i do?? I love him lot…i really belv he 2 …he oftn shws possesivns abt me 2..all dis doubt me..should i lev him? Its hurting lot…!!:(.. 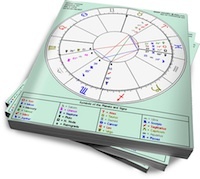 Hi there Kathere , I am also a sun scorpio and moon in tuares and since you are a sun in tuares and moon in Pisces that makes for an almost perfect love birds written in stone that will make your future generations of offsprings you leave to shed tears over the love that you will both share together. I will simply put it by saying that no matter whats going on now or whatever maybe happening in and out of your lives right now at this moment? One thing to always do and remember over everything else in your lives is to be “ALWAYS HONEST&LOYAL TO EACH OTHER,” and that goes for everything and absolutely from all the different aspect of the things that may take place in your lives, but in the long run always make sure that you recieve the same, in the mean time learning more and more about the different characteristics and personality traits of these four above mentioned zodiac sign as well. I trully believe that will be of some help but to also always be willing to make sacrifices and compromising in order to maintain a sense of compatibility in all of your dealings as your beautiful relationship slowly but surely evolves for the betterment. Of course we can look at astrology as one aspect of knowledge left here on earth for us to utilise for our advantage but its not everything our lives should be focused on becuase at the of once you have this knowledge about astrology we move on with our lives and to never forget that our purpose in live is to really know our main purpose of being connected to our Almighty One and Only Creator Who Has createdeverything and brought it into existence. So I say that to say this and I will have to to end here and that is by no means to forget that any problems or tribulations you are faced with to always quickly connect to our CREATOR by means of prayers and worship amids the hardships of all things in life; Trust and Believe that you will both share together guidance from Him the Most High as long as you both seek and beg Him for Guidance and Understanding in every step of the way in our beautiful journeys of this precious life we live. Stay Blessed and Be Good to each other for the sake of our Maker and CREATOR ALMIGHTY G-D.